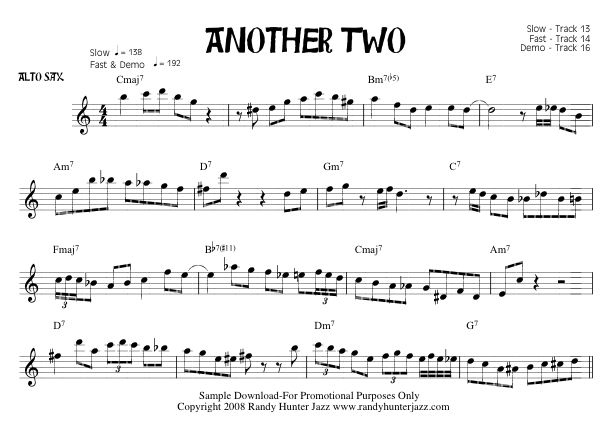 Level Three Jazz Etudes for Saxophone provides challenging etudes for tenor and alto sax with demonstrations and play-along tracks. These jazz saxophone etudes provide an in-depth exploration of six sets of standard jazz chord changes. 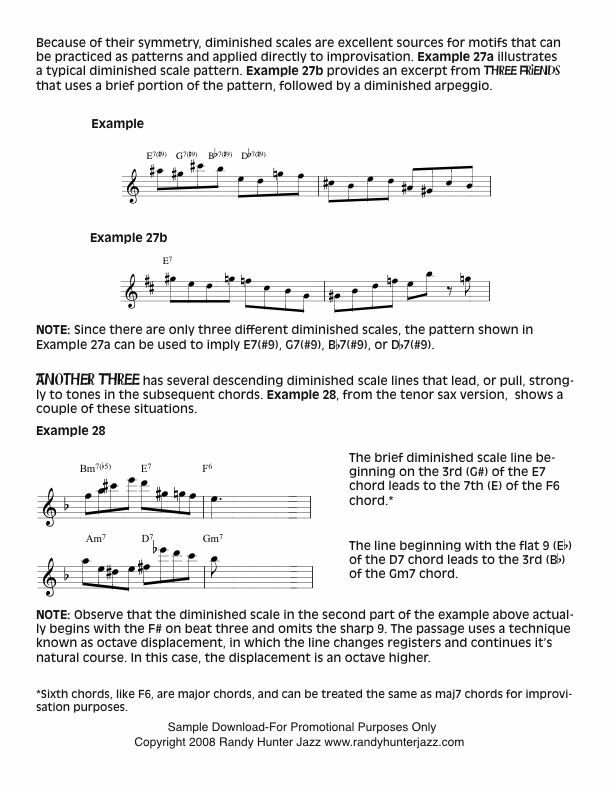 Four challenging etudes are included for each progression. 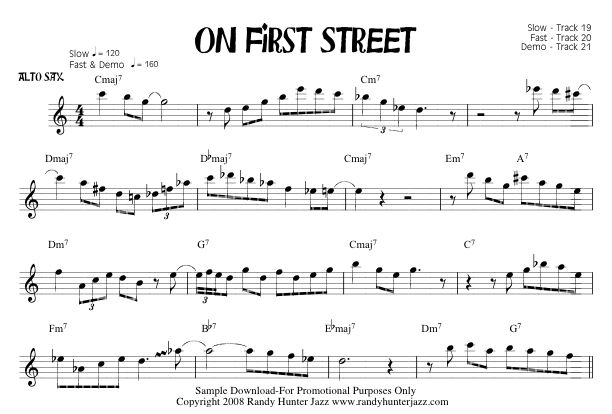 Text, describing the jazz theory and phrasing concepts used in each selection, serves as a useful jazz improvisation study guide. The Level Three studies are categorized as the first, second, third and fourth etudes in accordance with specific harmonic concepts. 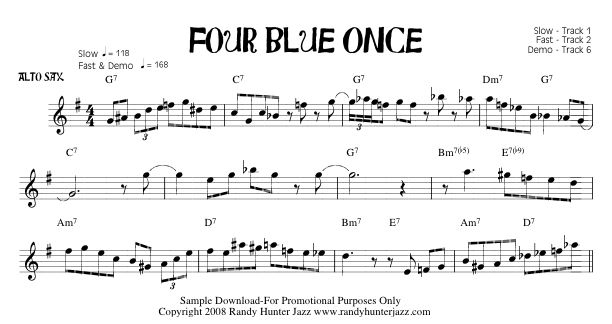 For example, One Blue Once , and the other first etudes, were created from the basic scales used to construct the chords in the progression. 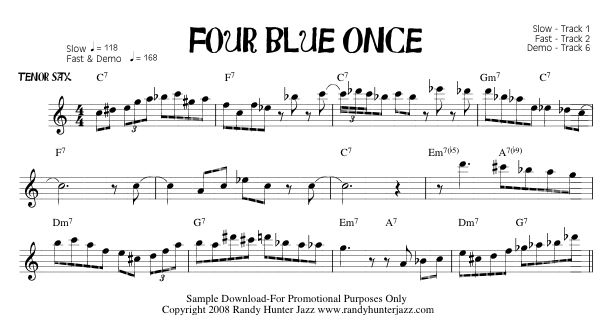 Two Blue Once, and the other second etudes, incorporate bebop chromaticism with the basic scales from the progression. The third etudes add diminished and lydian scale harmony to the mix. The fourth etudes add melodic minor harmony. 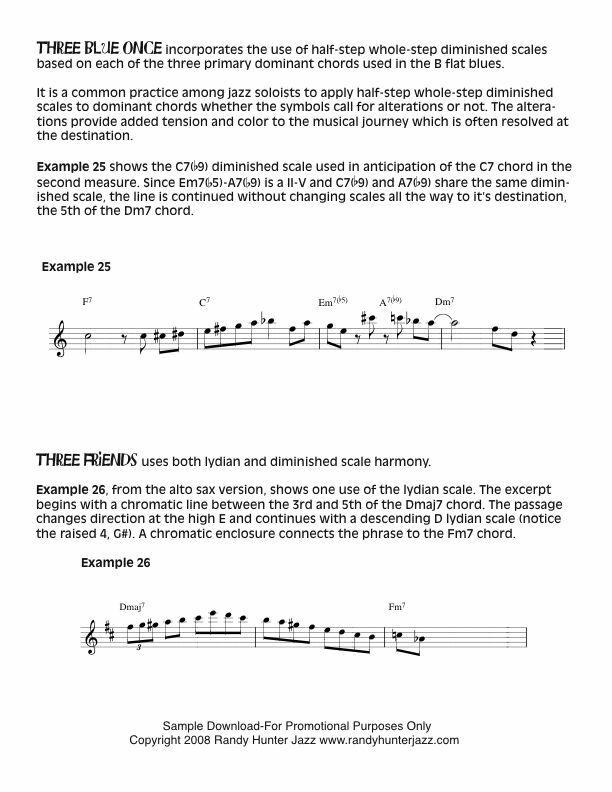 A sample from the text associated with the third etudes is provided below. A total of 22 pages of text is included. 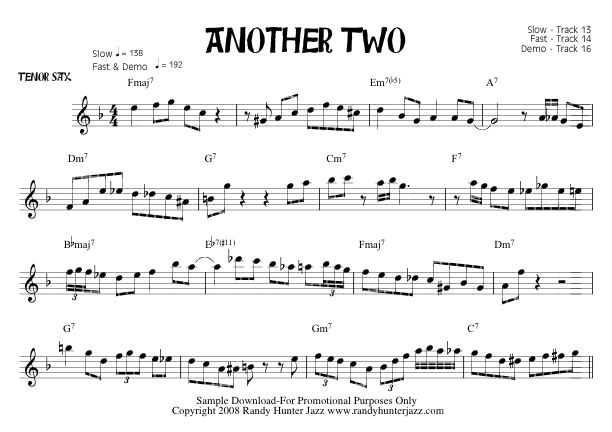 These jazz saxophone etudes are provided for both tenor and alto, with fast and slow (moderate) tempo play-along tracks. The versions are 100% compatible, and are provided on adjacent pages, making it possible for players of both instruments to practice and study together simultaneously. 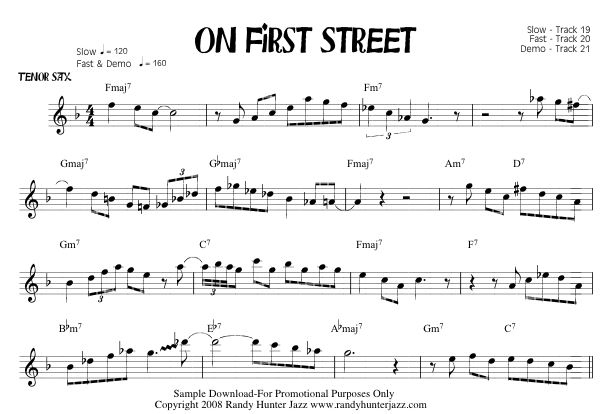 Demonstrations, using the fast tracks, are provided on tenor sax. Five time winner of the Downbeat Critic's Poll "Talent Deserving Wider Recognition"
“It's always great to find refreshing material that adds variety & challenge to your jazz consciousness..."